Glow in the Dark bracelets are a great seller at pow wows or any festival which has activities after dark. 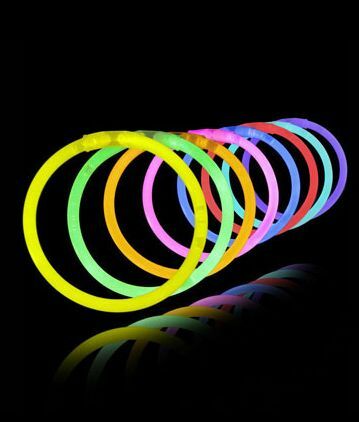 Dances, parties, community events, fairs, carnivals, and youth events all need glow bracelets. About 8" long with connector included. Just snap or shake to break the internal ampoule and activate the glowsticks. You'll have a safe glow for 6-8 hours. Eight assorted colors, pulled at random. Have plenty on hand -- many people will want more than one! They last for a long time in storage, so you can keep what's left over for your next event.